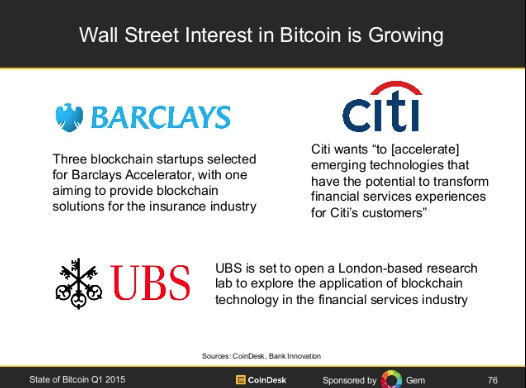 Coindesk’s Bitcoin Q1 report is in and the exposed trends are unmissable. The most salient highlights include 226M invested by venture capitalist on bitcoin-related startups, a depressed price of -24% compared to last year, 8M bitcoin wallets and the most eye-catching statistic: trading volume is up 300%! At 3.4 billion dollars in market cap, bitcoin’s market share is 14 times that of the closest alt coin. Hacks, mining company failures and big rounds of funding make for a mixed report that needs insightful interpretation. 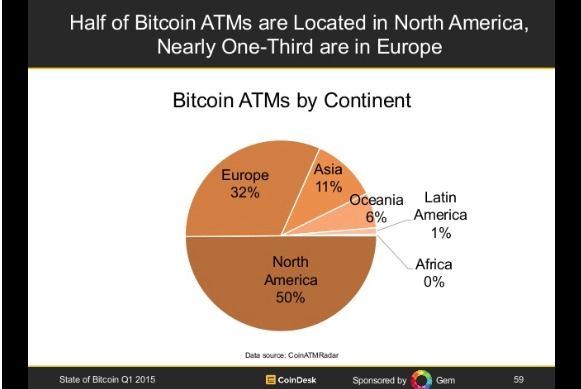 Very small penetration of ATMs in Latin America. The fundamental problem holding bitcoin down is consumer adoption. In essence, people are scared to use it. 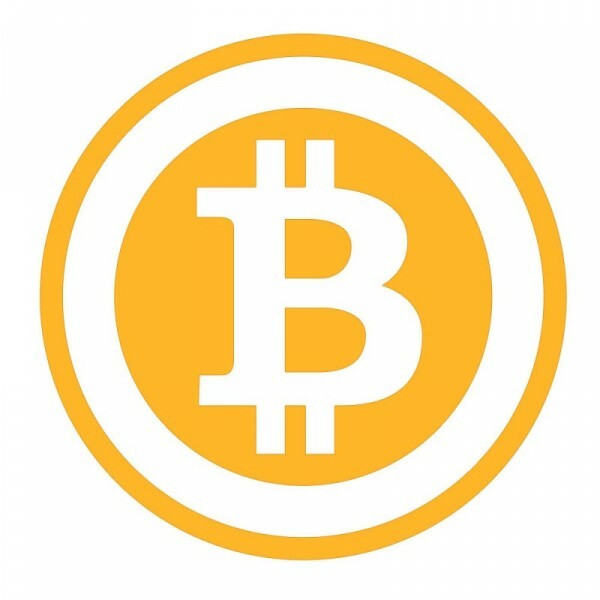 Even with regulation in place in the biggest markets, a plethora of online tools and considerable ATM distribution, the average consumer is still scared and hasn’t tried bitcoin. And that’s a huge problem.